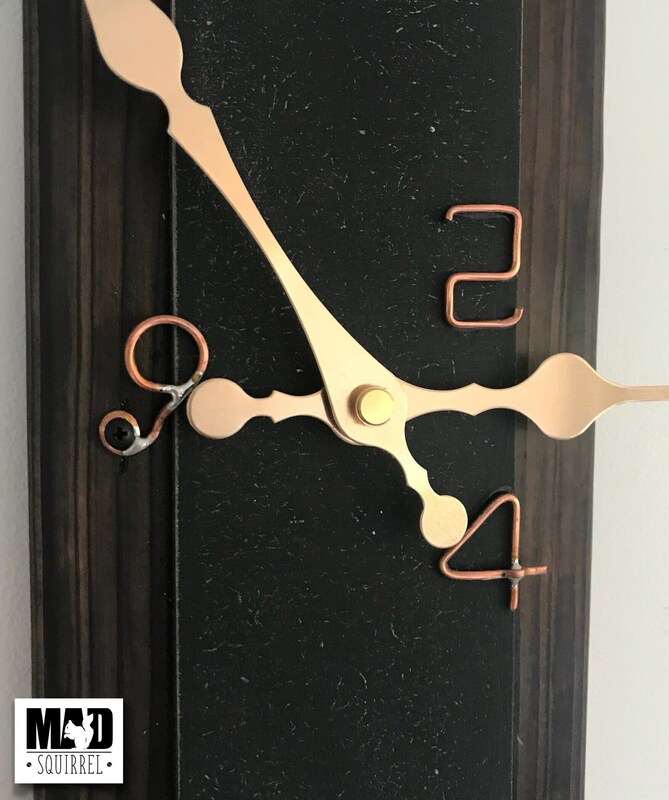 Unique Hand Made Clock, made to represent a garden shed, with a fantastic finish and wire numbers. 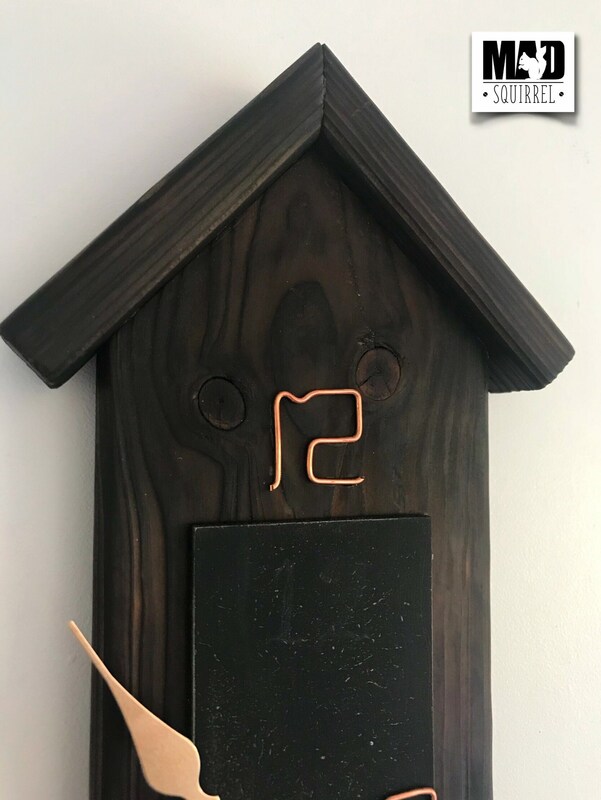 Unique Hand Made Clock, made to represent a garden shed, with a fantastic dark finish and wire numbers. 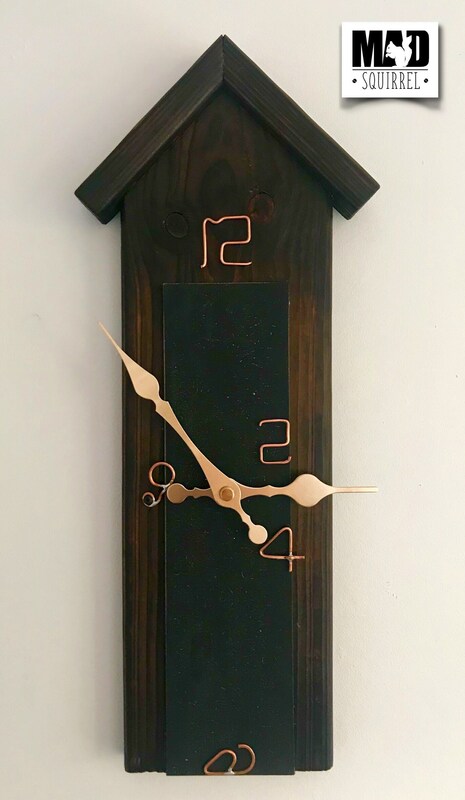 This clock is hand made by me, MADsquirrel. The clock is in the shape of a house/shed with a black door, clock face and wire number. Each number is represents something, the numbers 2 and 4 are the door hinges, 6 is a mouse at the bottom of the door, the 9 is the door handle which does move and the 12 is the house number. 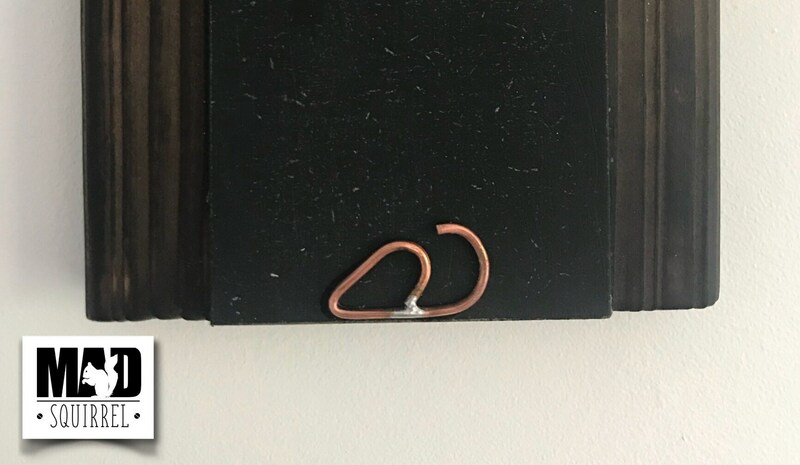 The copper wire is formed and soldered into the numbers, they are left unpolished to keep with the overall look. The wood has been burnt to leave the harder rings raised and then waxed to give the wood a wonderful finish. The hands are a light copper colour to match in with the numbers. I’m really pleased to be able to offer free postage and packaging on this clock. The clock takes an AA battery which isn’t included as it can cause problems with Royal Mail.